Daily play of multiplayer online games lifts math test scores for teenagers, but only for boys, widening the gender gap among male and female teens, new research from the Vancouver School of Economics at the University of British Columbia has found. 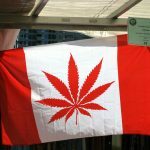 The Senate voted Tuesday to pass Bill C-45—the government’s legislation to legalize cannabis—meaning that recreational cannabis will soon be legal across Canada. Access to flexible work arrangements reduces the wage gap for mothers compared to women who don’t have children, new UBC research suggests. Prime Minister Justin Trudeau met Sunday with the premiers of B.C. and Alberta about Kinder Morgan’s effort to expand the Trans Mountain pipeline. UBC experts are available to comment. Since China ended its one-child policy allowing all families to have up to two children, an additional 90 million women have become eligible to have a second child.